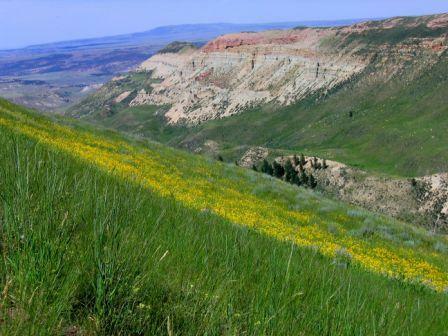 Located about 12 miles south of Manila off Utah Hwy 44, Dowd Mountain is often overlooked as visitors rush to more well-known Flaming Gorge locations. USFS road #094 is a maintained dirt/gravel road from the highway climbing gently for about 8 miles to one of Flaming Gorge’s best overlooks – with views of both Utah and Wyoming portions of the lake. Rich in wildlife, the main road has several spurs that beckon for further exploration and lead to great dispersed camping sites. 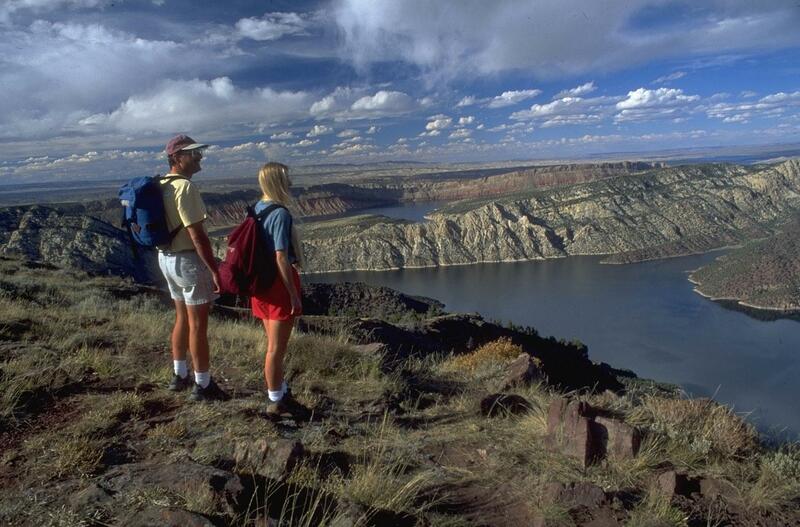 The mountain also features one of the best intermediate hiking/mountain biking loop trails in Flaming Gorge. 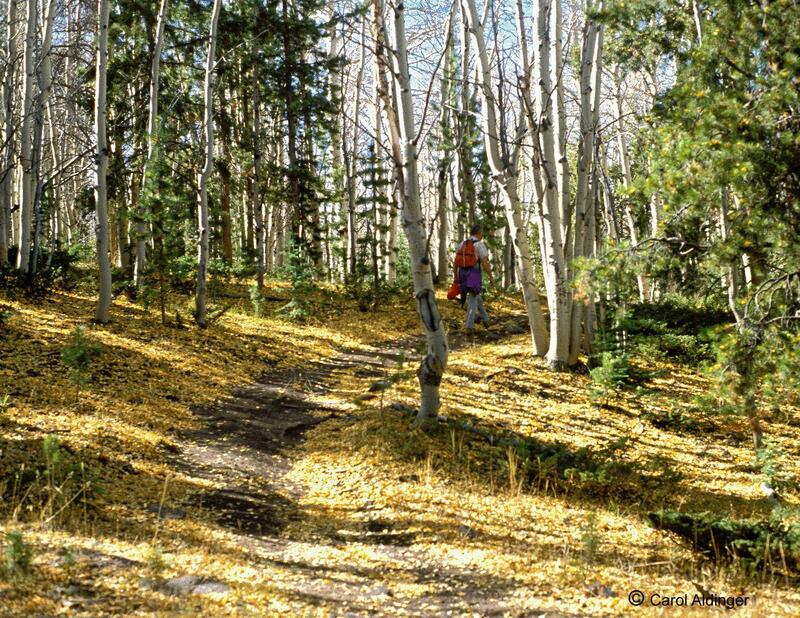 The 11 mile trail is a mixture of single and double-track with an exciting roller coaster downhill finish. 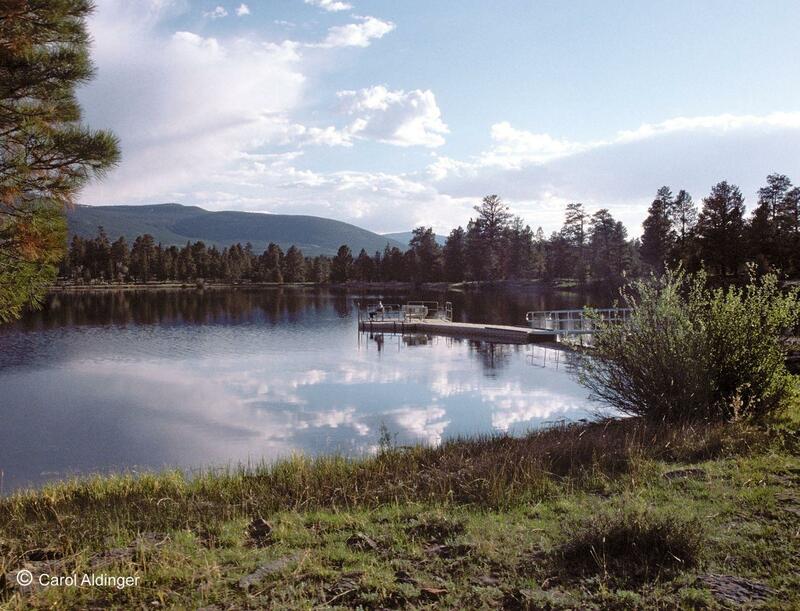 The mountain is named for Cleophas Dowd, one of the earliest settlers in the then very remote area of Flaming Gorge. While written history on Dowd is difficult to find, he is reported to have moved to the area to escape a shady past and carried a gun with several notches on it. He raised the finest horses in the area, on the mountain that now bears his name. In fact, these horses were so good, that they were reputed to be the stead of choice for Butch Cassidy and the Wild Bunch Gang. (Outlaws always seek a faster horse than the posse!) Dowd’s Ranch is said to be a secret part of the Outlaw Trail and some stories have the Sundance Kid working for a time on Dowd’s Ranch. Known as a hard man, he was murdered by his own ranchhand in 1898. It is said that the Sundance Kid wanted to ride in revenge but Butch talked him out of it. His grave site is located along the Sheep Creek Geologic Loop, near his former ranch. Experience an overnight rafting/fishing adventure! 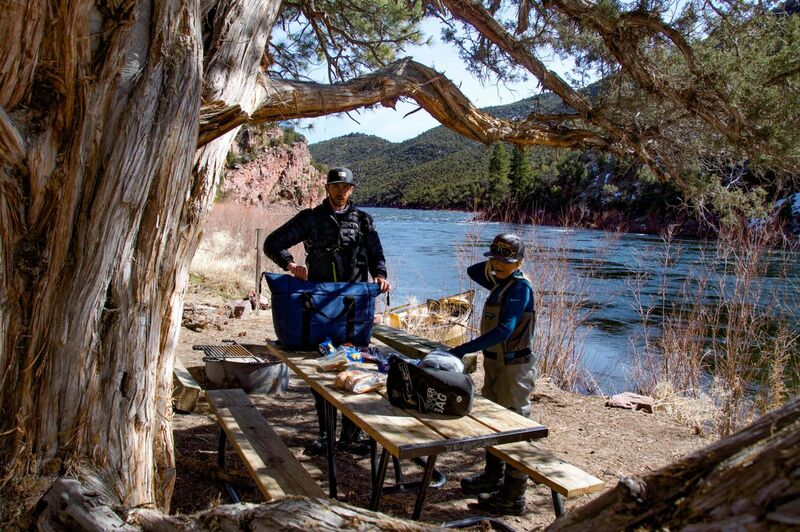 The Green River below Flaming Gorge Dam is justly famous for world-class flyfishing, rafting & daily guided fishing trips, but there is more to offer for those who seek adventure. 19 river campsites exist starting from about 1 mile below Little Hole to 1 mile below Red Creek. Six of these sites are available for reservations on the National Campground Reservation System ( www.recreation.gov), while the remainder are on a first-come first-serve basis (there is a sign-up board at Little Hole for these sites). These sites include a table, firepit, and tent pads. Packing in a port-o-potty is required. Most anglers never get to see the wonderful evening caddis hatches on the river that are common in the summer months. Most of our fishing guide outfitters offer such a guided overnight fishing adventure. 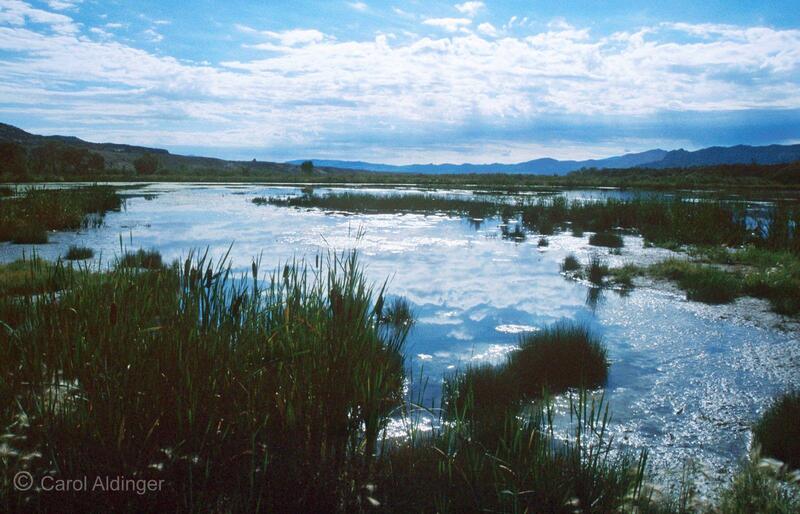 This new Waterfowl and Wetland Enhancement Project is located on the Utah/Wyoming border where historic Henrys Fork flows into the Flaming Gorge Reservoir. It is intended to improve nesting and migration habitat for ducks and other waterfowl. The project includes some 27 acres of ponds, 51 acres of shallow wetlands and 300 more acres of riparian habitat along the Fork only 3 miles from Manila. A short nature trail with interpretive signs helps visitors explore the area. Read more about this great birding area in our Attractions section where you can download a brochure on the Wetlands. Utah Bonefish in Flaming Gorge?? A new flyfishing trend has been emerging in recent years. Stalking lake shorelines for cruising carp may seem odd, but can be a real fishing adventure. Carp are large and hard-fighting prey that many compare to saltwater flats gamefish (ok, a poor man’s version…). Areas like Jug Hollow, north of Dutch John, are a good place to start. Carp like cruising the shallow waters of weedy estuaries and bays in Lake Flaming Gorge. Warning: these can be high-powered fish and a 7 to 8 weight flyrod is recommended. Information & roadway signs to Little Mountain are hard to come by, but its reputation is immense. Located about 40 miles south of Rock Springs, Wyoming off US Hwy 191 and along the eastern side of Lake Flaming Gorge, sportsmen consider this area to be one of the best big game hunting spots in the west. Millions of dollars have been spent on habitat restoration in this remote area. The varied habitat of Little Mountain supports thriving herds of trophy Mule deer and Rocky Mountain elk. It is also home to sensitive populations of native cutthroat trout. If you are into wildlife watching, this special place is worthy of your exploration. Thank you for visiting http://www.flaminggorgecountry.com/secrets-of-the-gorge! Be sure and revisit flaminggorgecountry.com frequently for content updates and more.